Something new is about to break out and its the new Firefox Smartphone Operating System. 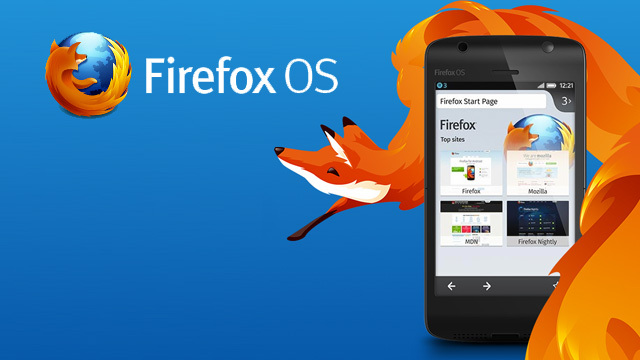 The Firefox Mobile OS aimed at challenging the Apple and Google duopoly is already powering a low-cost KES. 2000 smartphone ($25) unveiled yesterday at the 2014 Mobile World Congress in Barcelona Spain. Mozilla Foundation, the makers of the Firefox OS, further announced a chip deal with a Chinese firm Spreadtrum to create designs for the $25 phone targeted at key emerging markets in developing nations. While Apple is focused on spreading premium-price smartphones across the globe, Mozilla has its sights aimed squarely on the low-cost smartphone market. In a competitive market that has Google’s Android OS dominate in 78.4% of all smartphones sold last year and Apple’s iOS command a 15.6% share, the Firefox OS is set to redefine the game in the smartphone market. According to Mozilla COO Jay Sullivan, the number of Firefox OS devices shipped to date is between 500,000 and 750,000. That may be such a paltry figure compared to more than a million Android devices activated everyday. But still, it is a decent start for the Firefox OS. Mozilla already has announced the commercial launch of seven new devices using Firefox OS. These include ZTE Open C, ZTE Open II, Huawei Y300, Alcatel One Touch Fire C, Alcatel One Touch Fire E, Alcatel One Touch Fire S smartphones and Alcatel Fire 7 Tablet. A Mozilla OS phone, built with Spreadtrum’s processor, that ultimately will hit the market as a $25 device for customers who don’t have the funds for higher-end phones. “Firefox OS is off to an amazing start. We launched our first smartphone since July , and have since expanded to 15 markets,” said Sullivan at the on-going 2014 Mobile World Congress. Key growth markets of developing nations are key strategy markets for the Firefox OS phones. Among the markets marked out include South America, Latin America, Eastern Asia and Africa. Pricing is everything in developing markets and a key factor in deciding about getting a phone. A $25 dollar smartphone will not only be affordable to most consumers but also extend smartphones to the hands of every person in the world. When compared to the likes of Google and Apple, Mozilla is a fairly a small company. For many mobile watchers the story of the Firefox OS taking head-on giants such as Android and iOS makes a compelling David vs Goliath narrative. Will the tables turn in favor of the Firefox OS? Till then, Android and iOS be sure the carpet is not pulled from under your feet.